Back in January, Razer announced the Forge TV, a console that’s probably the best Android TV-running device yet (when considering specs and capabilities). And today it’s finally become available for pre-order. Amazon is offering the console bundled with a game controller for $149.99, with free shipping. 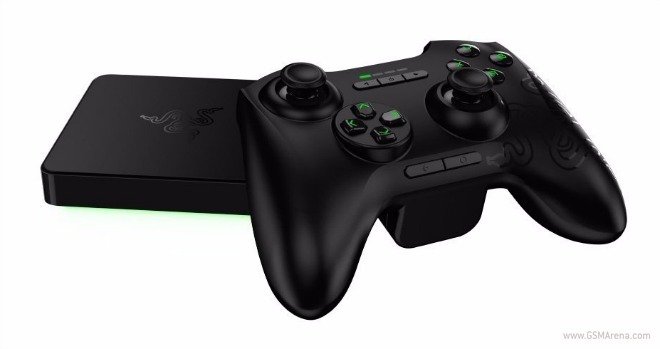 Speaking of which, the Razer Forge TV bundle is set to be out on May 1. The device is powered by Qualcomm’s Snapdragon 805 SoC, sporting a 2.5 GHz quad-core CPU and Adreno 420 GPU aided by 2GB of RAM. 16GB of internal storage are in, along with Wi-Fi, Bluetooth, an Ethernet port, an HDMI port, as well as a USB 3.0 port. Since it’s running Android TV, you can install apps designed for televisions from the Google Play Store. But the Forge will also let you use Razer’s Cortex system to stream games from your PC (this is supposedly coming later in the year).